It’s a drag queen’s world right now, as shows like Pose and RuPaul’s Drag Race have catapulted the culture of men dressing as women into the zeitgeist. In 2018, drag has gone mainstream, and what a fantastic, joyful, and illuminating thing to happen to us as a society, especially in light of all the hatred we’re bombarded with—much of it coming straight out of the Oval Office. After commandeering our TV screens and Instagram feeds, drag also now seems to be impacting men’s fashion. The Spring 2019 runways have been filled with guys wearing what are typically discussed by those in the industry, and many of the people who actually buy the clothes, as female-centric trends: waist cinchers, revealing crop tops, minimal camisoles, and midi skirts. A few members of the men’s street style flocks in London and Milan have been experimenting with glittery dresses and skirts, too. A lot of hype has been built up around genderless fashion à la Alessandro Michele and his band of Gucci misfit boys and girls, but this is something different. 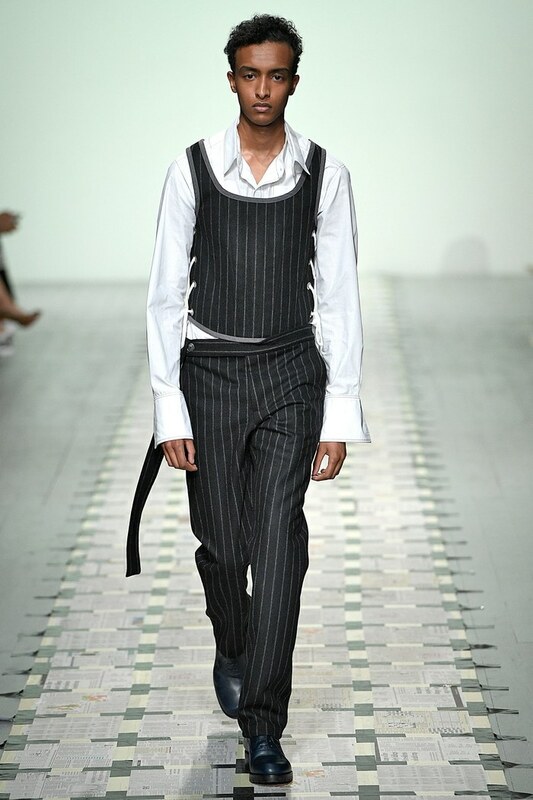 Daniel W. Fletcher took classic pin-striped fabric and gave his guys a corset that laces up the side in lieu of a jacket. 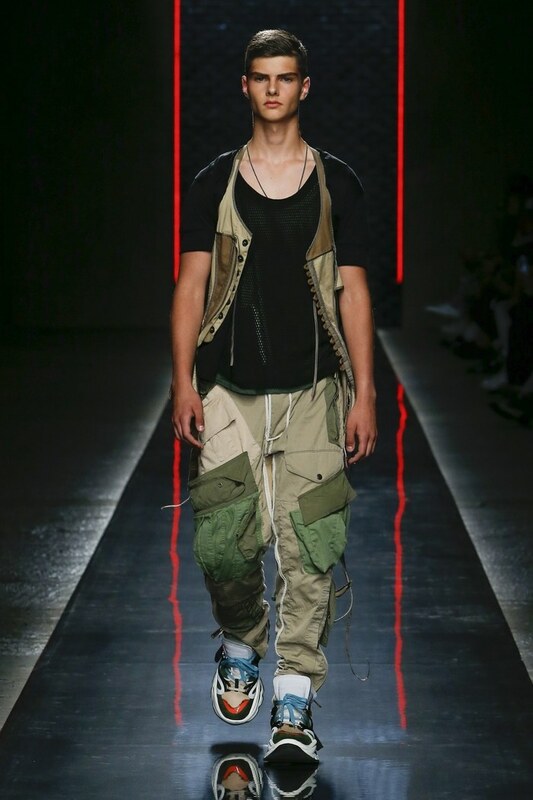 Astrid Andersen’s bandeau top–and–tracksuit look was worn just as well by a man on the runway as it is likely to be by Kylie Jenner, maybe better. 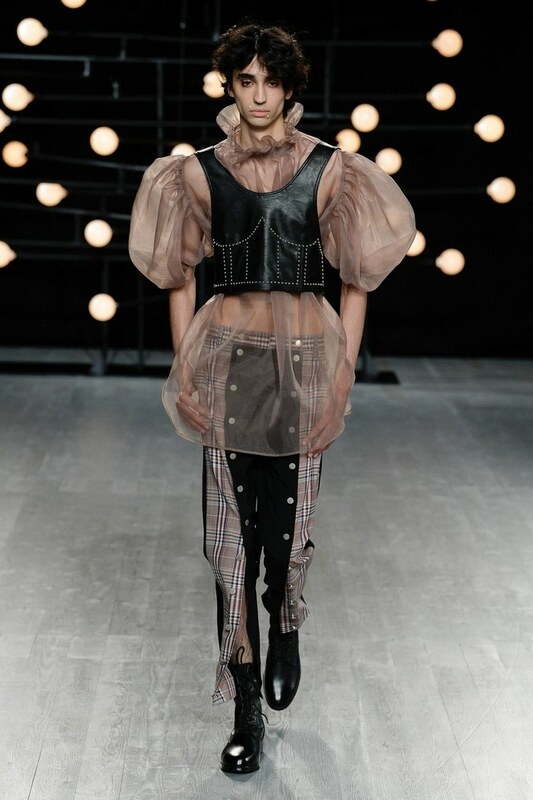 Charles Jeffrey went so far as to dress men in cage-like suits of armor over diaphanous dresses, their faces painted like statues.